Another great stash buster! This Anticipation Mystery afghan square pattern is so enjoyable and the end result is absolutely gorgeous.The beautiful pattern has so many details to keep the project interesting. Challenging for some , easy for others, this Anticipation Mystery Afghan 12″ block by Margaret MacInnis offers some unique and different techniques such as the surface stitch. 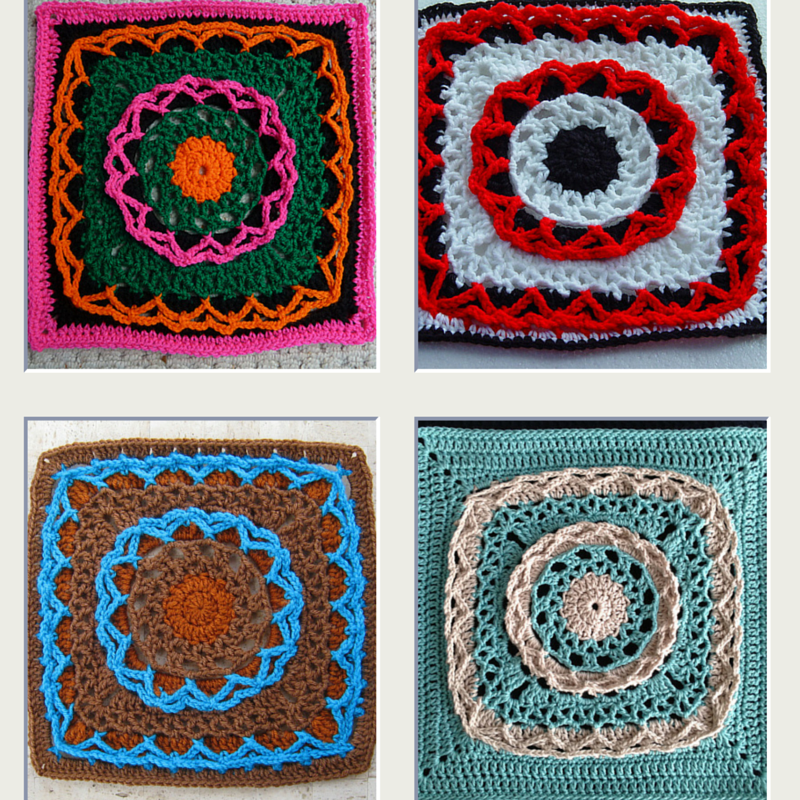 Here are four different color versions of the same pattern. Gorgeous, right? 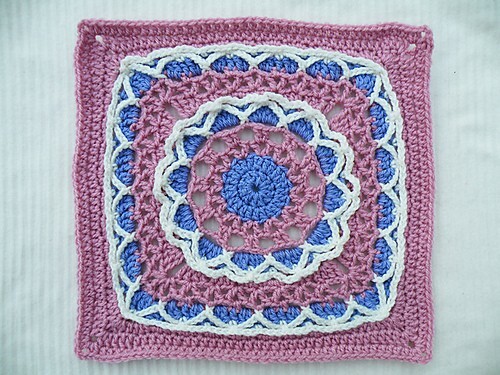 Visit here to get the free pattern to learn more about this square. There’s also a photo tutorial for this square so, make sure you download that too, it’s very detailed and well explained. Image source: Margaret MacInnis .